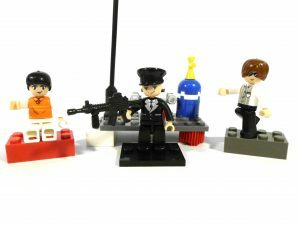 I have to give it to SLUBAN, this set looks pretty cool! 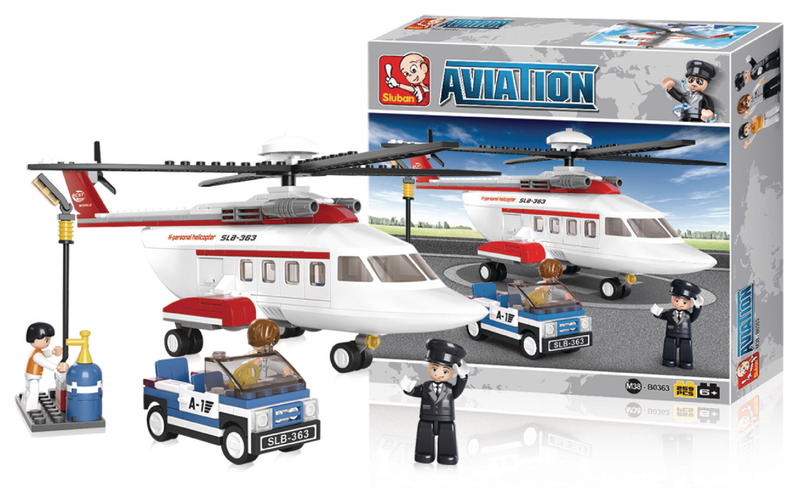 Now, put that aside, it’s the only set I could find in the whole Aviation series to feature a helicopter! If you ask me, that’s a bit disappointing for a brand like SLUBAN. I mean, for their marketing and world expansion thing going on. 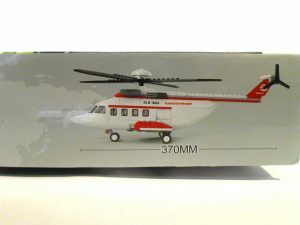 I could see a heavy lifting helicopter and a smaller TV chopper in there as well, to have something to choose from. 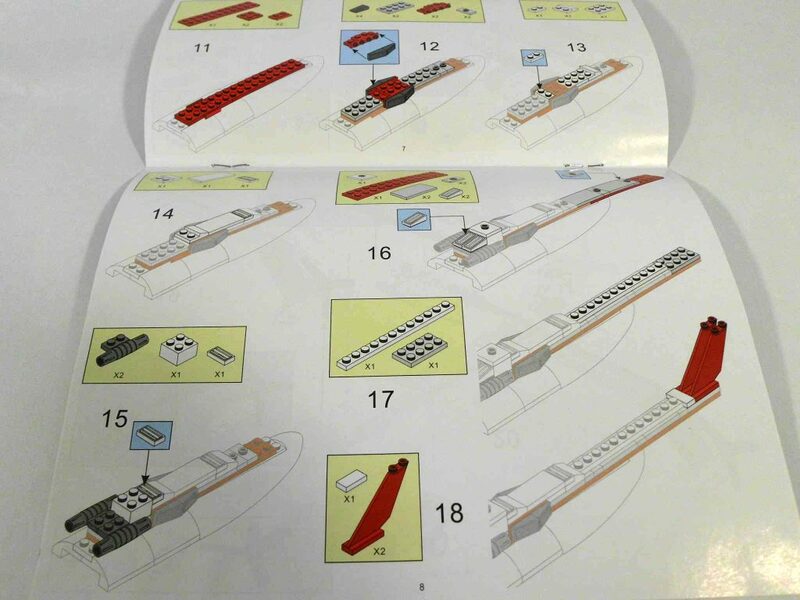 The instructions are good, the previous sections are blurred so you can follow your current stage more easily. 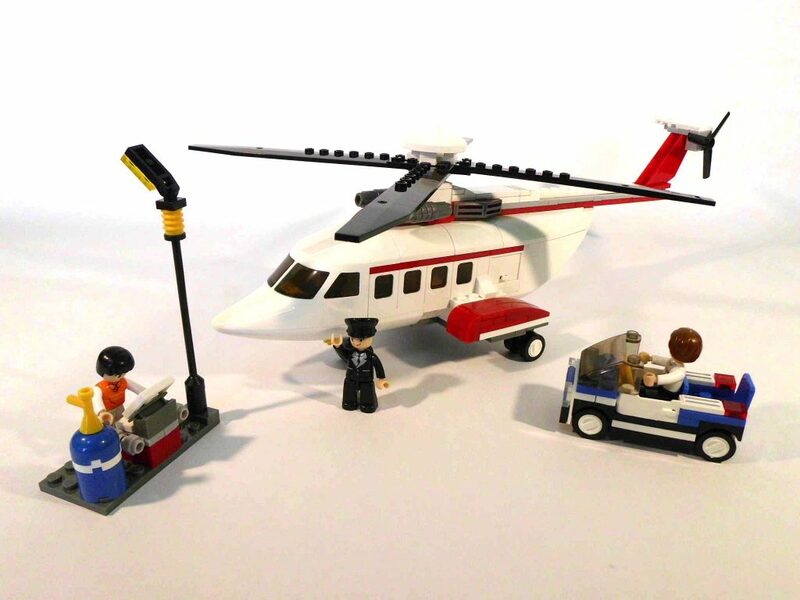 The whole set consists of a private helicopter, a luggage car and some kind of outdoor control panel (with a light post for when it gets dark, screw the rain). 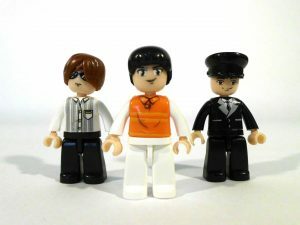 It also includes 3 minifigures; we’ll talk about them a little later. 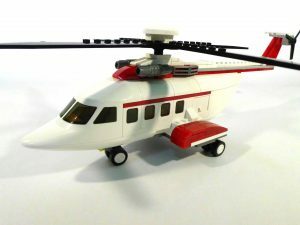 You can take off the top of the helicopter, but due to some poor engineering I don’t recommend doing so to often. This has nothing to do with clutch, it’s just a design issue! 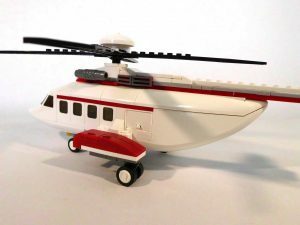 There’s room for two passengers and the pilot plus a small table inside. 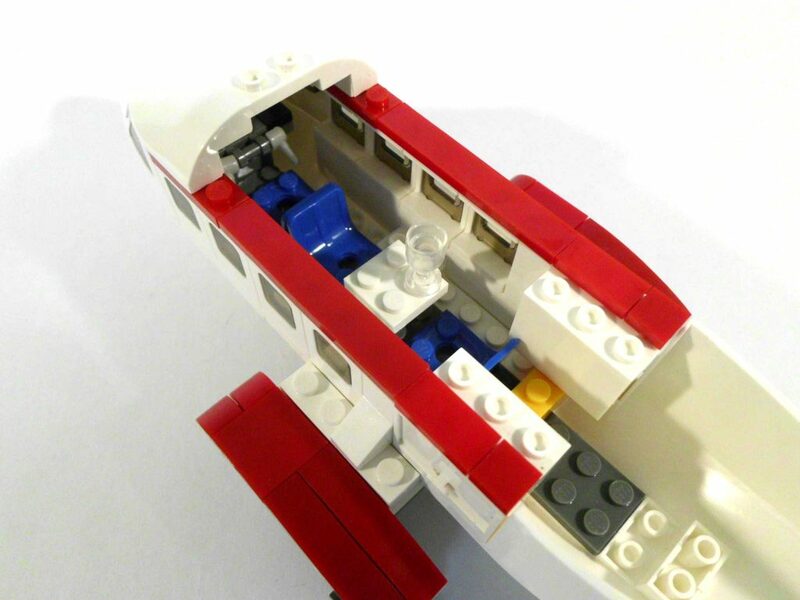 There are two external compartments, one on each side, for stuff to put in also. 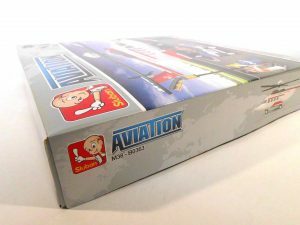 The set comes with a sheet of decals, but I don’t usually stick them on. 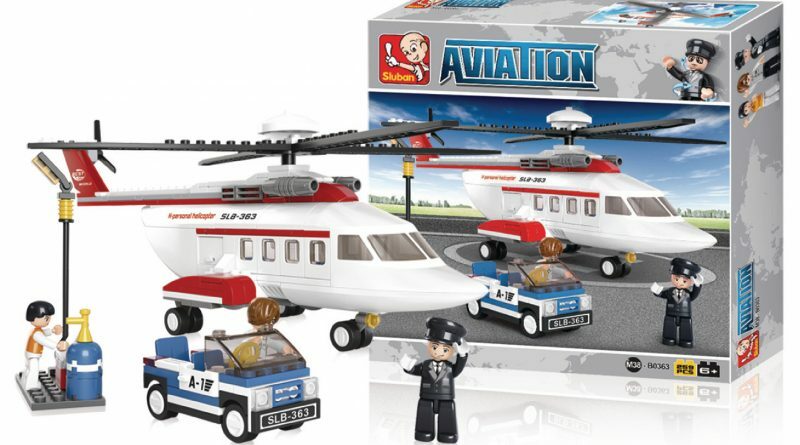 As you can see from the box art, there should have been some writing on the helicopter and the small luggage car. 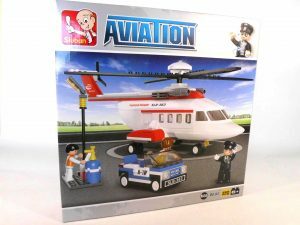 The car and control panel thingy are nothing special really, just some filling for the helicopter. 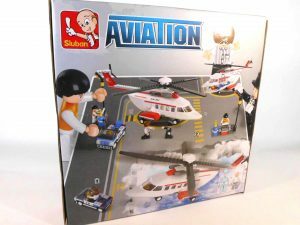 SLUBAN’s little man looks nice, but it does carry the flaws of many Chinese brands. 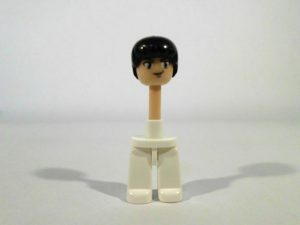 Because there is a single rod connecting the torso to the legs piece (yeah, it’s a weird design! ), the clutch between the two is not that strong. 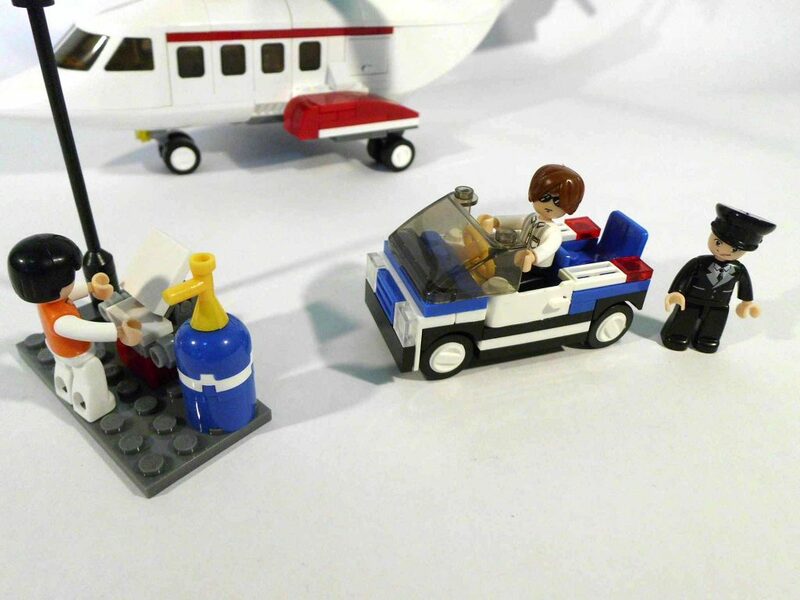 Also, in my set, the pilot’s hat falls off if you blow on it. Literally! 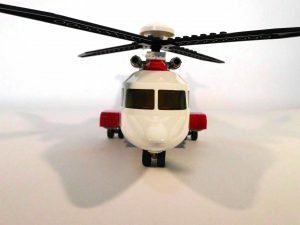 Maybe it’s supposed to make it look more real, as in hats do fall off in the relative wind of the helicopter propeller 🙂 The head and hands connect by ball joints, which gives them a slight articulation. 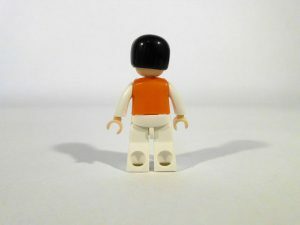 The only parts you can switch between SLUBAN and other brands minifigures are head gear and hand gear. 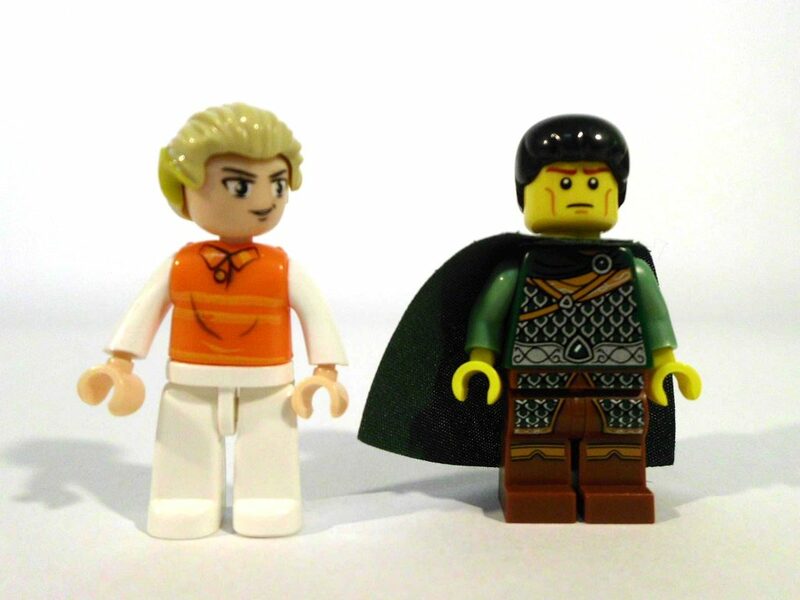 This time, I made an unintentional Caesar and the dude from Zelda. 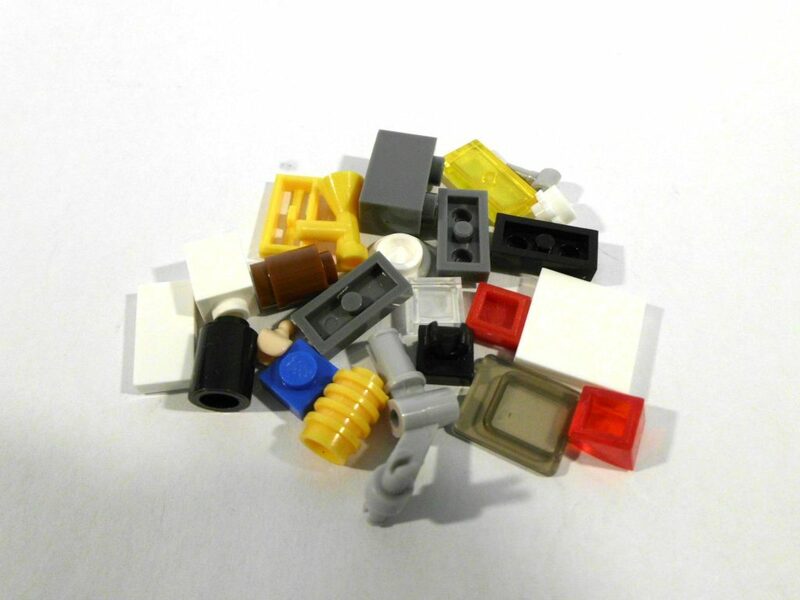 The minifigures come in pieces from the factory, so you’re gonna have to put them together. And did I mention they’ve got a weird design? Of course, SLUBAN is 100% compatible with other brands. 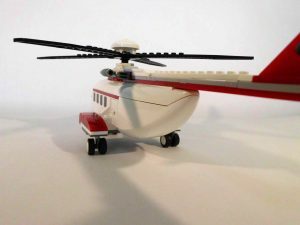 Here, I used LEGO, DECOOL, JUBILUX and BELA bricks and a LELE riffle to exemplify. 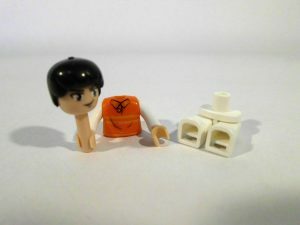 As can be seen, the minifigure only has two connection holes on the back of the legs. 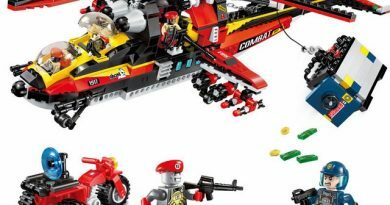 The set comes with a handful of spares, among them being some very interesting parts, like the front wheel support thing (I don’t know the word for that). 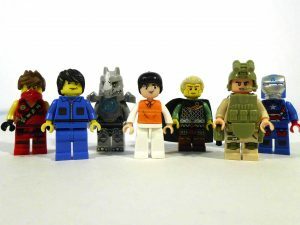 Does LEGO give something like that away as an extra part? I don’t think so! 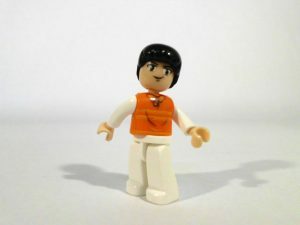 Minifigure – 8.5 (it’s a cool concept, but quality control issues harm it; it wouldn’t hurt SLUBAN to add some more interesting body printing either).